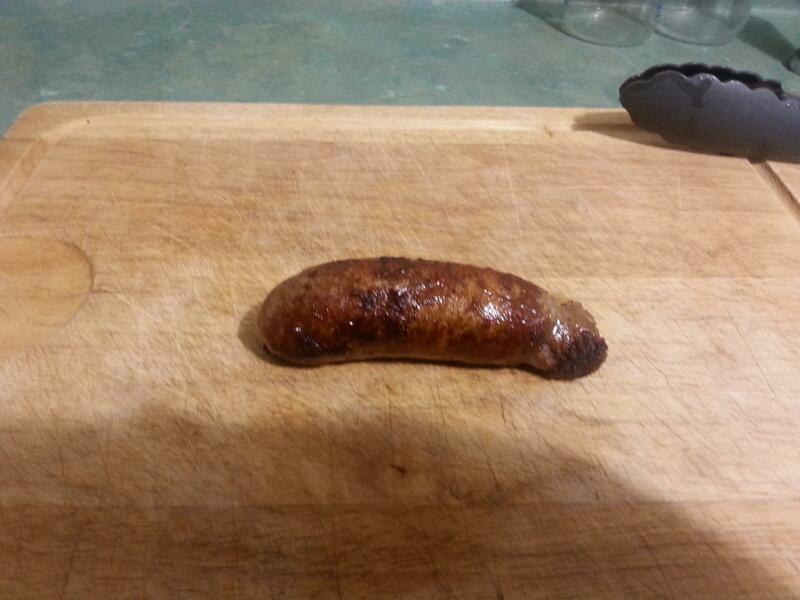 Thread: Show me ya Sausage!! From time to time I see all ya wild game sausages popping up on here and it inspired me to go have a dig round in the freezer. I found 3kg of fallow and 2kg of red (scrappy cuts)that I was never gonna get round to doing anything with. I took them down to the local butcher, he put in a couple of kg beef to get a full mix. Ended up with 8.5kg of finished product for $40. Picked them up this arvo, mrs already had tea on the table when I got home so I put a bag in the fridge for tomorrow night. Venison and garlic does it for me BF. Do you just give the butcher a couple of bulbs an tell him to ram it in with it? Got a home kill butcher out Otamarakau just before Matata straights. Only big loads mind you, last lot was 60 kg of pork n veni and 150 kg of pork only. No he supplies the garlic. You dont like them? Good to hear someone else has at least tried that combo. Nah never. Would be good. Now that my old boy no longer works at the mussel factory we don't get them free so cant be arsed.